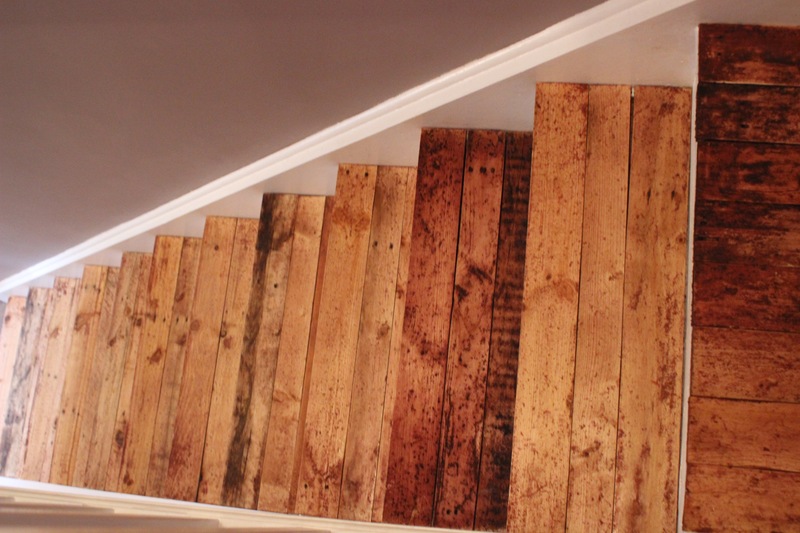 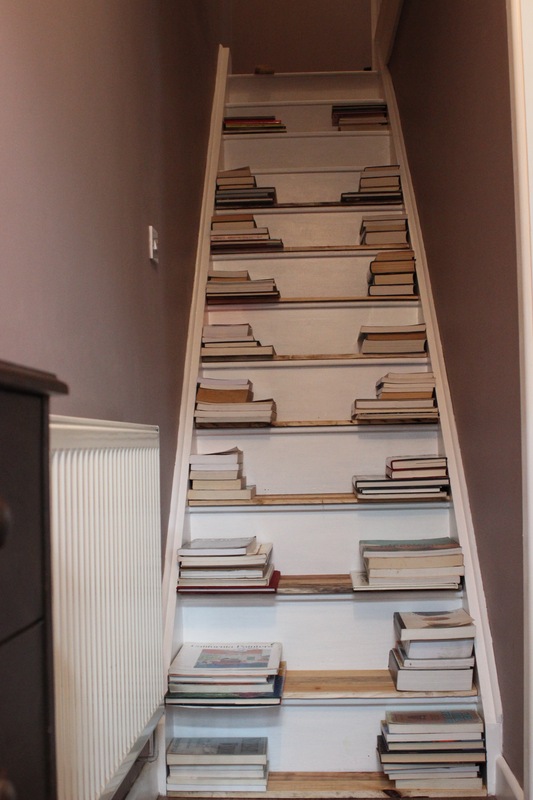 The staircase has been laid with recycled wood from palettes sourced from a recycling workshop. 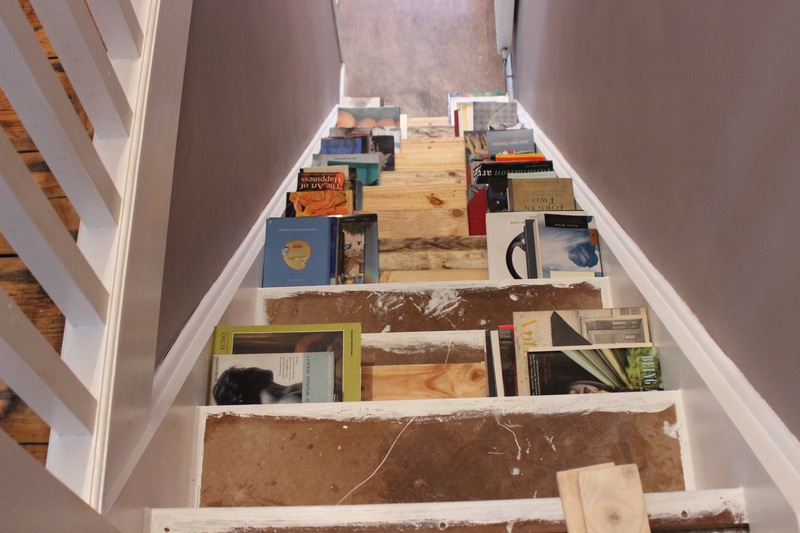 Each stair tread has three pieces of cut-to size, sanded palette lengths. 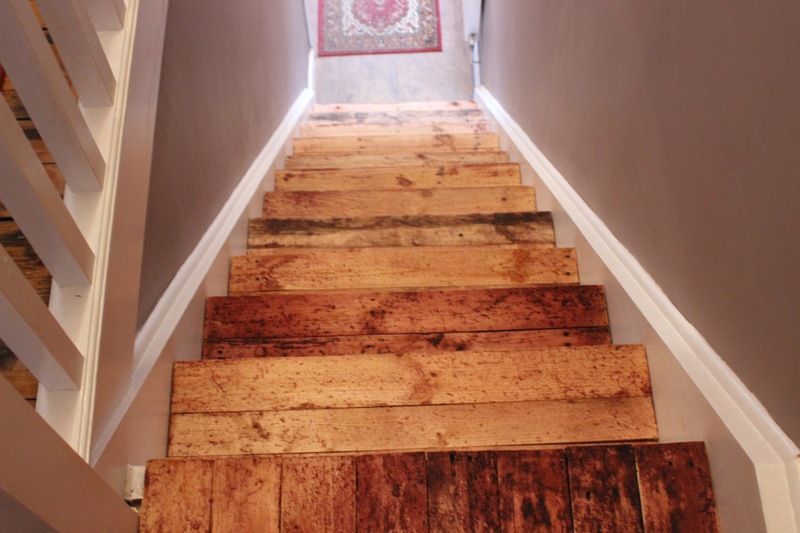 Finally, the wood has been sealed and nourished with Danish oil.